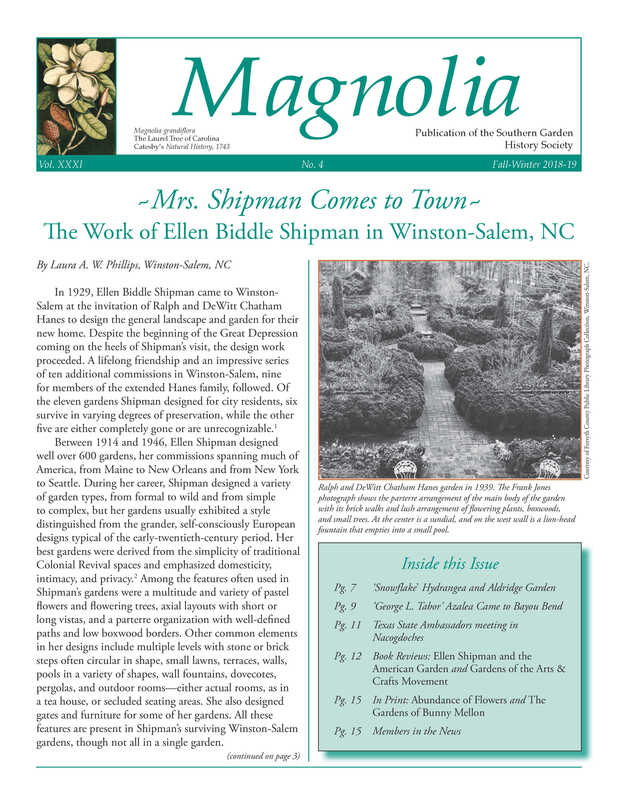 The premier publication of the Southern Garden History Society is its quarterly journal, Magnolia, which provides readers with scholarly articles on historic gardens and gardeners, plants and restorations. 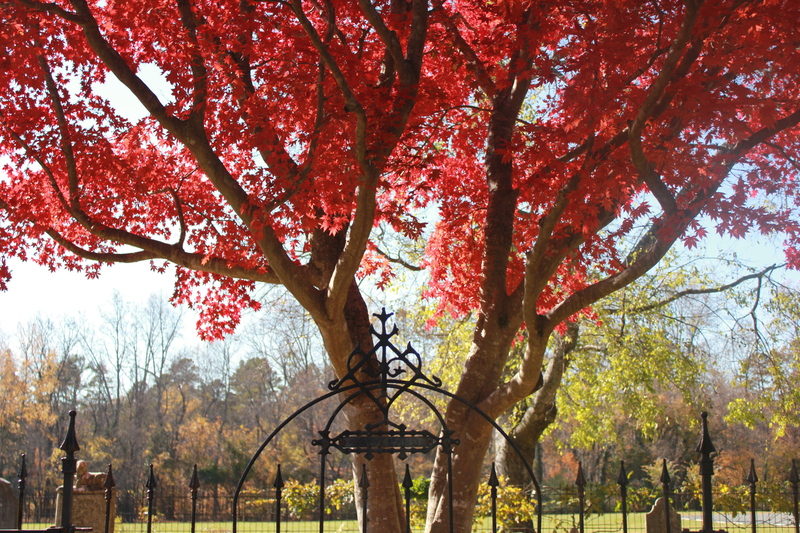 Additionally, outstanding book reviews and a calendar of events keep members abreast of current information and activities. 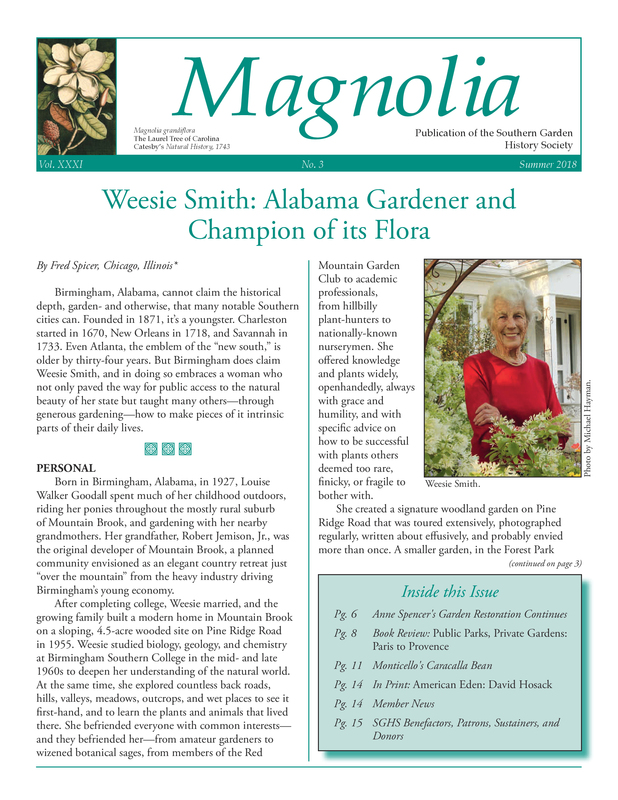 Magnolia has helped society members enhance their understanding of the South’s richly complex garden history via essays, conference summaries, book reviews, and a fine array of illustrations. 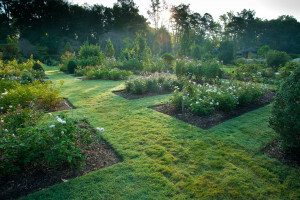 In addition, Magnolia has kept members up to date on society activities, as well as on other historic garden and landscape programs relating to the Southern United States. 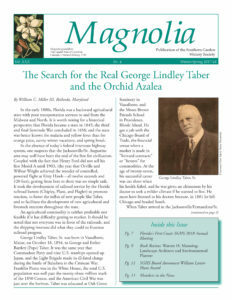 If you would like to obtain individual back issues of Magnolia, please visit our Other Publications page. The publications for 1985 through 1999 have been indexed; to view the index, click here. 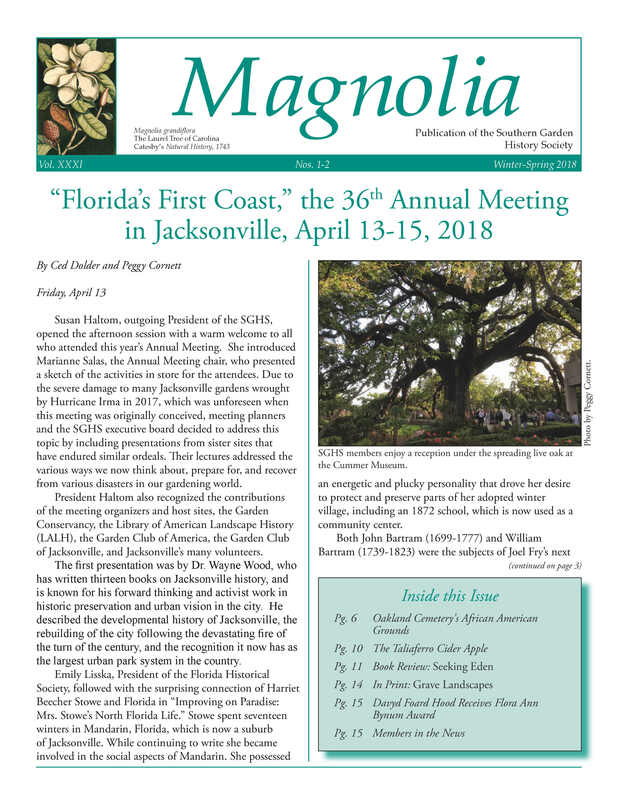 You may search our PDF library, which includes Southern Plant Lists, back issues of Magnolia and Annual Meeting brochures from past years, by using Google Advanced Search. Click here for instructions. Published issues of Magnolia are posted to the website a month after they are mailed to members. Southern Garden History Society is seeking an Administrator; see the job posting here.